Under the auspices of H.E. 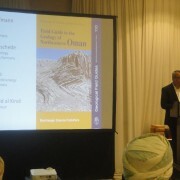 Ahmed bin Naser Al Mahrizi, Minister of Tourism, the Field Guide to the Geology of Northeastern Oman was officially launched during the Annual General Meeting of the Geological Society of Oman (GSO), held at the Crown Plaza Hotel yesterday. 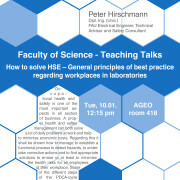 The publication is a joint effort of members of the GSO and the German Geological Society (DGGV). The authors of the 283-pages field guide are Prof. Dr. Gösta Hoffmann of the Departments of Geoscience (GUtech and University of Bonn/Germany), as well as Prof. Dr. Martin Meschede (University of Greifswald/Germany), Dr. Anne Zacke (University of Bonn) and Mohammed Al Kindi, the former president of GSO. The book was published by Borntraeger Science Publisher and is available internationally. “Oman is like a museum. In Oman you can study the geology like nowhere else in the world. In contrast to many other countries, the rocks are accessible and visible on the surface,” said Prof. Dr. Gösta Hoffmann during his speech yesterday while adding that the geology of Oman is spectacular – for the touristic layman and the geologist alike. Exceptionally well exposed rocks offer a fascinating outcrop experience, second to none. The scenery is unique, and often breathtaking. As the field guide is written in a textbook style and presents the geology in a comprehensible way, a broad understanding is facilitated. Therefore, this book not only addresses geologists but also amateurs, visitors and travellers exploring the beauty and the significance of Oman geology. The idea to write the field guide was born during Prof Goesta Hoffmann’s and Anne Zacke’s permanent work tenure at the Department of Applied Geosciences at GUtech from 2008 onwards. During numerous field trips and excursions that were conducted with the support of GSO, the geoscientists started to collect rocks. They then set-up a special rock collection at GUtech, comprising around 1500 specimen of rocks. Moreover, a poster entitled ‘Rocks in Oman’ was published a few years back to highlight their characteristics. Because of the extensive number of interesting geological sites in Oman, geologists face difficulties in focusing on a few locations during field trips. “The difficulty always is to decide where not to stop, otherwise you cannot conduct the trip,” said Prof Gösta with a smile. The so-called ‘Samail ophiolite’, the former sea floor you can walk on, are mountain ranges, of more than 3000 m altitude, and deeply incised canyons with turquoise-coloured perennial streams, contrast with dry but golden sand deserts. Moreover, coastal areas with kilometres of white beaches are waiting to be discovered. The geological guidebook has two parts: The first provides a general introduction to the geology of Oman, and enables the reader to put the variety of geological phenomena and observations into a scientific context. The authors emphasise describing the processes that led to the formation of Oman’s rocks and landscapes formed over millennia of Earth history. Following the introductory chapters on archaeology, climate, and vegetation, the geomorphological and geological aspects of Oman are presented. The second and largest part of the guide consists of meticulous descriptions of 99 excursion points located across the northeast of the country. The authors, have carefully selected the most interesting and important sites. The excursion points can easily be located by their coordinates, or may also be visited using the detailed roadmaps provided for each single outcrop. A large number of colour illustrations, a geological overview map, an index, and a list of references complete the content of the guide. 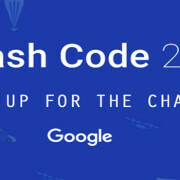 Hash Code is a team-based programming competition organized by Google. Hash Code started in 2014 as a one-day online programming competition for students and professionals from across France. Later on, in 2016, google scaled the competition to the rest of Europe, the Middle East and Africa, where more than 17,000 people signed up to compete. To participate in Google Hash Code, participants pick their teams of two to four individuals and their preferred programming language. Teams step into the shoes of a Google engineer and tackle a real life challenge picked by Google. Google Hash Code competition is open to all university students and industry professionals. The Main goal of the Google Hash Code is to test teams’ ability to come up with code-based solutions to real life challenges. The Computer Club at GUtech, represented by Alya Al Shanfari, a Computer Science student, will participate in the Google Hash Code 2017. GUtech will host the Online Qualification Round on February 23rd, 2017. Qualified teams will be called to travel to Google Office in Paris on April 1st, 2017.